Does the world need another best-of list? No, but I add mine to the cloud anyway. I read lots of good books in 2013, but for the first 11 1/2 months, I struggled to identify a book that seemed to define the year for me, one that I knew would occupy my top shelf for years to come. But finally, I found it. Finished it 10 days before the end of the year, but one that I knew I’d have chosen even if I’d read it in February. I began and ended the year with two novels set in foreign countries that readers have not encountered much in fiction. 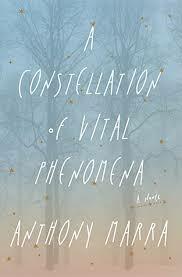 A Constellation of Vital Phenomena is somehow a debut, though you’d never know it given how confidently Anthony Marra weaves his complex narrative, creating characters who retain their humanity in the face of unspeakable tragedy during the two Chechen wars of the 1990s. More on the second book later. Two novels distinguished themselves for their intense, highly dedicated first-person narrations, both by schoolteachers. 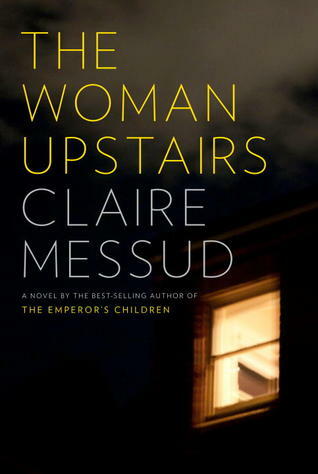 Claire Messud’s The Woman Upstairs features the most memorable opening lines of the year: “How angry am I? You don’t want to know.” Nora Eldridge has been the quiet woman for years, doing what’s expected of her and never making waves. Inside, she seethes with white-hot rage, with no outlet for it until a student’s parents come into her life and jolt her out of her dormancy (My full review here). Meanwhile, the literary feat of the year may still be how unwaveringly Alissa Nutting commits to Celeste Price’s outrageous meditations on banging her students in the hilariously transgressive Tampa, a book that my brain has stubbornly refused to stop turning over. 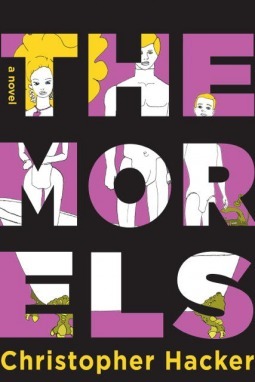 As I was reading Tampa, I kept thinking about another novel I’d read earlier in the year, Christopher Hacker’s The Morels, which explores the cost when an artist follows his most taboo impulses. Is an artist’s only obligation to his art, regardless of the hurt it may inflict on loved ones? Is any art that doesn’t provoke us past our comfort zones even worth experiencing? And if an artist begins censoring himself because any unsavory behavior he depicts will be conflated with his own, how can an artist truly be free to create? 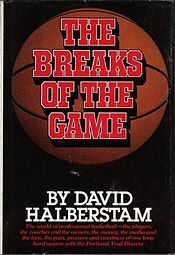 On the nonfiction side, a few books stood out from the pack: David Halberstam’s pioneering The Breaks of the Game is a fascinating document to read 30 years down the road. It’s a glimpse of the NBA in crisis right before it exploded with Magic, Larry, and Michael, starring a wonderfully eclectic group of players known as the 1979 Portland Trail Blazers, the league’s defending champs who within a year utterly collapsed (Full thoughts here). 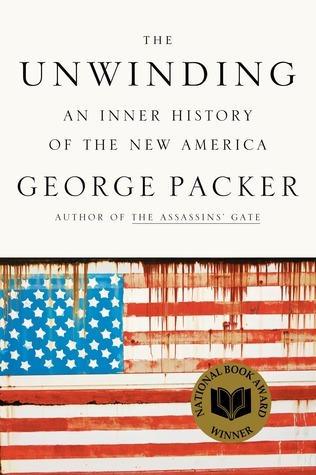 I add to the chorus championing George Packer’s The Unwinding, which took home the National Book Award last month. You wouldn’t think you’d find a common thread between a factory worker in devastated Youngstown, a long-time Joe Biden foot soldier, and a Silicon Valley billionaire, but Packer manages to find it, providing an alarming, three-dimensional portrait of our nation. 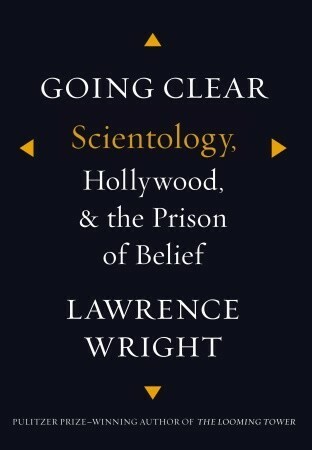 I was also greatly impressed by Lawrence Wright’s thorough but even-handed vivisection of Scientology, Going Clear. You will not find as delusional and dangerous a religion/cult as L. Ron Hubbard’s given such a fair hearing as Wright offers here. 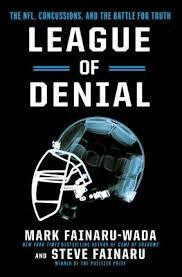 The most important, most discussed sports book of the year was almost certainly League of Denial, the explosive expose of the National Football League’s gigantic concussion problem that neither the league nor ESPN wanted any part of. It’s a hard book to wash your hands of, even as you sit down on Sunday and settle in for another full slate of football games. The book implicates the NFL as a money-printing behemoth oblivious to the developing science on concussions, crushing anyone who dares to break the party line that concussions are benign. But it even more deftly implicates us, the fans, who must reconcile our love of this quintessentially American game with the life-long toll it takes on the players. 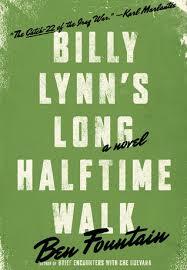 Staying with football, if you’re like me and you’ve always found the NFL’s commingling of commerce and military imagery just a bit unsettling, then Billy Lynn’s Long Halftime Walk may be just the tonic. Ben Fountain’s endlessly clever novel takes place during the Dallas Cowboys’ Thanksgiving Day game, where a visiting troop from Iraq on a publicity tour is set to share the field with Destiny’s Child at halftime. There are plenty of acute and amusing observations about the absurd spectacle that awaits Billy’s squad (including a parody of Cowboys owner Jerry Jones), all told in zippy and whip-smart prose, but it’s the unbridgeable gap between civilian and soldier, and how we try (and fail) to bridge it, where Fountain’s book really becomes poignant. My journey through the Time Magazine list continued this year, with two titles in particular justifying their lofty reputations. 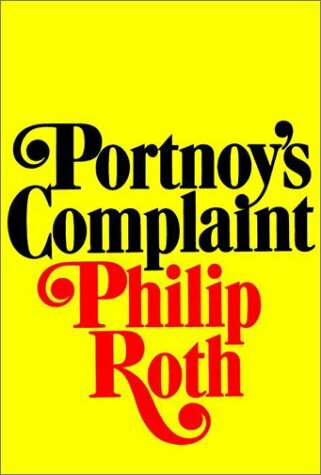 Philip Roth’s Portnoy’s Complaint might not shock contemporary readers anymore with its brutally frank language, but it is still a rush to see a character let his inner desires run so wild on the page (full thoughts here). And I was delighted to find that The Grapes of Wrath, a novel I dutifully read and loved in high school, remained as potent and necessary an American novel as ever. 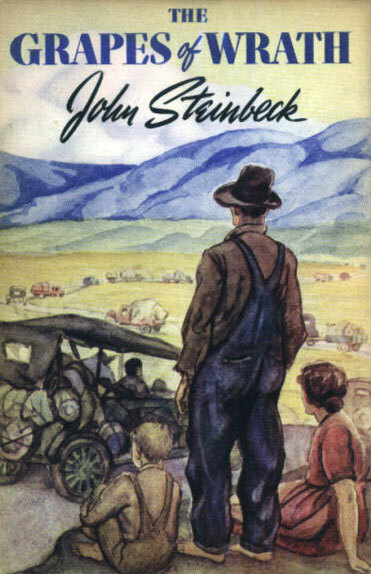 What amazed me most of all was how current Steinbeck’s novel feels, even though it’s rooted in a very specific time in our history (full thoughts here). Up until a week ago, I was ready to crown The Grapes of Wrath with the title of favorite book. It certainly has the scope and resonance to feel like one. 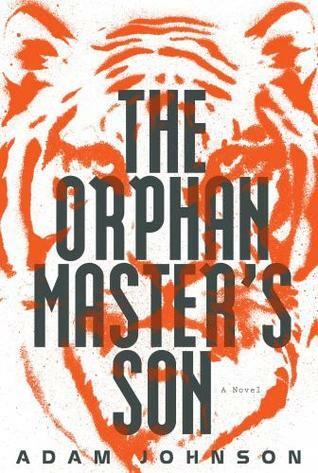 But then I came across an interview of author Adam Johnson, whose novel The Orphan Master’s Son had won the Pulitzer Prize and the Tournament of Books earlier this year, and his discussion of North Korea compelled me to finally pull his book off the shelf. What a book it is. It offers an essential glimpse into a nation shrouded in mystery and mythology. It’s deathly serious, playfully funny, audaciously plotted, and extremely moving. And it’s an architectural marvel, a 450-page, meticulously assembled book that doesn’t really begin delivering its rewards until the second part 200 pages in. Johnson said in the interview that he was fascinated by the difference between America and North Korea (among many) in terms of the self-identity of its people. In the U.S., we all believe that we control our own narratives, and if we don’t like the direction it’s taking, we have the power of reinvention. In North Korea, you are what the state says you are. The novel’s protagonist, Jun Do (a homonym of John Doe) holds three different roles in the first part of the book before a weird sequence of events leads him to “become” Kim Jong Il’s right-hand man, Commander Ga, the circumstances of which serve as the book’s central mystery, along with his attempt to escape with Sun Moon, North Korea’s beloved national actress. The result is a novel that takes the ominous thought-speak of Nineteen Eighty-Four, mixes in the absurdity of Catch-22, and by the time the dictator himself appears on stage, puts us firmly in Dr. Strangelove territory. But Orphan Master feels unlike anything else. It’s a thrilling book to read once you’ve gotten the hang of Johnson’s approach, with its shifting narrators (including the state-sponsored version of what we’ve been reading that gets blared out on loudspeakers every morning) and careful delineation of information, and the stakes couldn’t be higher. So The Orphan Master’s Son is my choice for favorite book, but it might not have been my favorite piece of writing. That honor goes to Pamela Colloff’s astonishing two-part Texas Monthly feature on Michael Morton, a Texas man finally exonerated after 25 years in prison for murdering his wife (part one here). Morton was recently the subject of a documentary on CNN, but Ms. Colloff’s account has everything you’d want in longform journalism: impeccably crafted and researched writing, vivid characters, too-strange-to-be-fiction plot twists, unspeakable tension, with equal measures of anger and sadness evoked in the reader. I cannot recommend it enough.